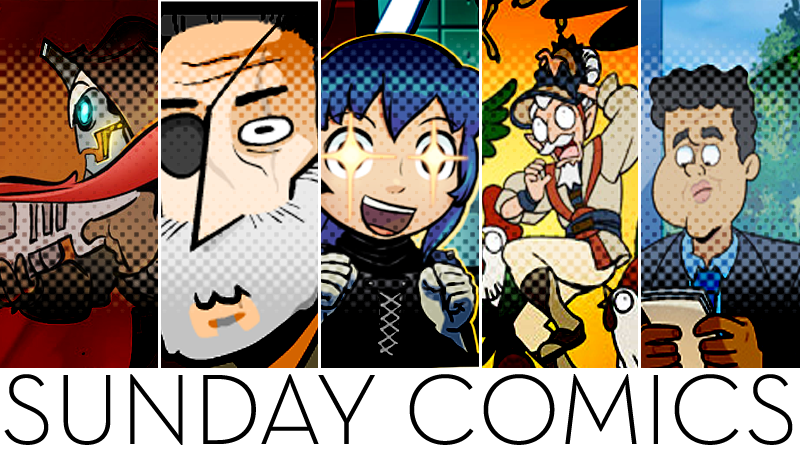 Welcome to Kotaku’s Sunday Comics, your weekly roundup of the greatest webcomics that generally happens on Sunday besides when it does not. The pictures enlarge if you click on on the magnifying glass icon. Nerf NOW!! by Josué Pereira. Printed Could 26. Read through a lot more of Nerf NOW!! Awkward Zombie by Katie Tiedrich. Printed Could 22. Read through a lot more of Awkward Zombie. Penny Arcade by Jerry Holkins and Mike Krahulik. Printed Could 24. Read through a lot more of Penny Arcade. The GaMERCaT by Samantha Whitten. Printed Could 22. Read through a lot more of The GaMERCaT. Nerd Rage by Andy Kluthe. Printed Could 26. Read through a lot more of Nerd Rage. Corpse Operate by Alex Di Stasi. Printed Could 25. Read through a lot more of Corpse Operate. Manly Fellas Performing Manly Things by Kelly Turnbull. Printed Could 22. Read through a lot more of Manly Fellas Performing Manly Things. Life in Aggro by Fei Hsiao and Cecilia Vasquez. Printed Could 27. Read through a lot more of Life in Aggro. Double XP by M.S. Corley and Josh Crandall. Printed Could 26. Read through a lot more of Double XP.